An app created by Bermudian Daron Lowe aims to encourage child development by helping children improve listening and reading skills, with the Keisha the Mermaid app ranking as a finalist in the 2017 TechAwards. Mr. Lowe said, “Readers are invited to join Kiesha, who is an island girl who loves to swim and have fun with her ocean friends. When she uses her imagination Kiesha becomes a mermaid and who notices her underwater garden has become a dumping ground. The app gives the reader the choice of either a narration or non-narrated version of the story. 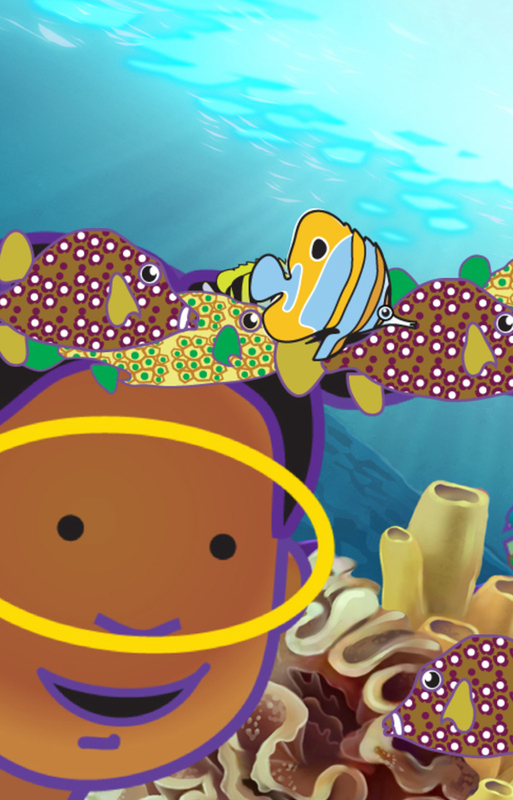 “The story of Kiesha will inspire children to be aware of their environmental and the challenges our oceans and it’s creatures face from dumping of trash. “It is my desire as a writer and illustrator to encourage early reading in all its forms, either by traditional books, or electronically via eBooks or apps we now have a generation that is very tech savvy, and I believe my new app can be used by parents and educators to engage the young mind. “The app was nominated and was a finalist in the 2017 TechAward which is Hosted by The Department of ICT Policy and Innovation within the Ministry of Transport and Regulatory Affairs and placed second in the category Most Innovative Mobile App. “The process of creating the app was an adventure in itself, the general idea had been worked on over 3 years, and in the process there have been two computer crashes in which I almost lost all my source artwork, started from scratch, used multiple software programs to achieve the desired effects. “In the past I was published traditional children’s books such as The Bermuda Fun Book, The Flood, Jonah and the Great Fish and Kiesha the Mermaid Colouring and Activity Books, but an interactive book was my way to propel my ideas into the 21st century. For more information, visit kieshathemermaid.com; the app is available now for $2.99 from iTunes App Store and the Amazon App Store. Fantastic idea! My sister and I always came up with our own “mermaid” games when we were young. Good to see that continue in a modern format!